Innovative Learning Week is now less than a week away and Information Services have a number of events available for both staff and students. Some of the events require booking in advance so make sure you get your place. Innovative Learning Week is nearly here! Box of Broadcasts is a TV and radio broadcast recording and archive service. This session provides an overview of the BoB database that allows users to record television and radio programmes from the Freeview spectrum with an opportunity for hands-on practice in using the service. Event is being held at King’s Buildings. Open to all staff and research postgraduates. Booking required. What is an artist’s book? A book made by an artist, of course! Back by popular demand, this event gives students and staff the opportunity to handle a selection of the best and most exciting artists’ books from ECA Library’s collection of around 1000 artists’ books. Be inspired! Open to all staff and students. Talis Aspire is an online course reading list system which allows course organisers to create and publish reading lists and make them available to students via a web interface or a VLE. Lists can include include books, e-books, book chapters, journal articles and videos. Course organisers can add notes for students and statistical data on list usage is available to course organisers. This workshop provides a brief overview and demo followed by hands-on practice. Event is being held at King’s Buildings. Open to all staff and research postgraduates. Booking required. On the 20th of January 2014 Caroline Stirling and Christine Love-Rodgers took over the role of Academic Support Librarian for the School of Social and Political Sciences, formerly held by Shenxiao Tong. Caroline Stirling has worked in User Services in the Main Library for several years, most recently as a Helpdesk Supervisor at the Main Library. Caroline will be leading on information skills teaching in the School. Christine Love-Rodgers has worked as an Academic Support Librarian in various Schools in HSS over the past decade, including the School of Divinity who she continues to support. She will be leading on collection development and budgetary management. 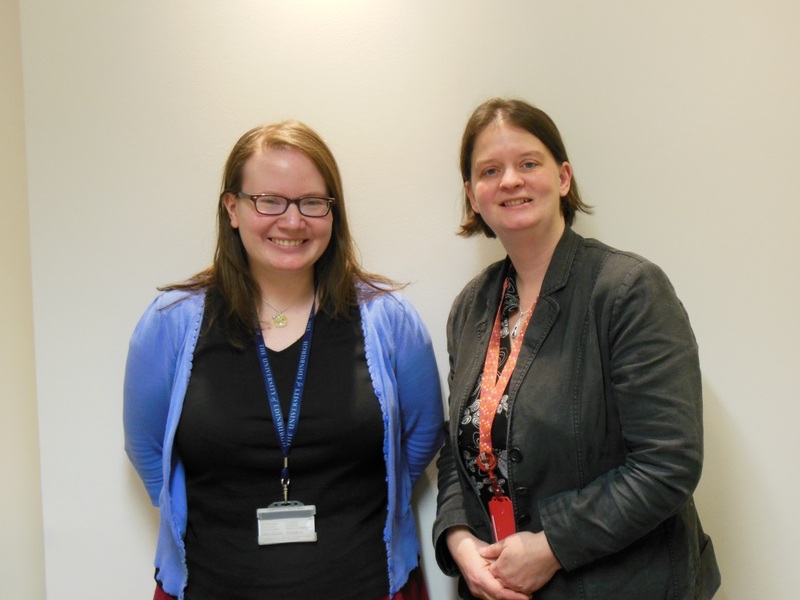 Caroline and Christine will be working on a job-share basis, with Caroline available at the Main Library on Mondays, Tuesdays and Wednesday mornings. Christine will continue to be based at New College Library on Mondays, Tuesdays and Wednesdays, and available at the Main Library on Thursdays, working flexibly to meet teaching and meeting commitments Monday to Thursday in both Schools. Caroline and Christine have a single e-mail contact : sps.librarian@ed.ac.uk and you can follow us on Twitter @SPSLibrarian.